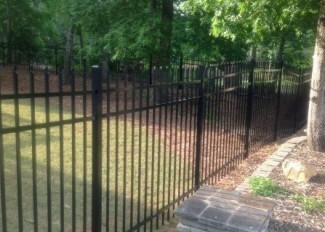 Better Decks & Fences is the leading supplier of professional fence installations in Grayson, Georgia. Our mandate is to provide our customers with exceptional high quality fences at the lowest prices with an outstanding guarantee on all of our work. We are equally adept at providing a phenomenal level of service to smaller communities such as Grayson as we are to major cities such as Atlanta. 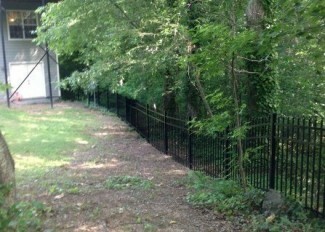 If you currently reside in Grayson, GA and are looking for any type of fence services, please don’t hesitate to get in touch with us by using our contact form or by calling us at 770-923-8837. Not only will your call be answered, but we will schedule a free consultation and estimate. Better Decks & Fences is your premium source for obtaining a diverse range of fence styles to suit any home or business environment. 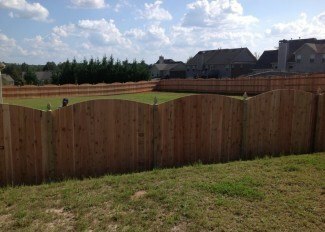 We are best known for building privacy fences, ornamental fences and chain link fences as well as offering specific solutions for all of your unique requirements. 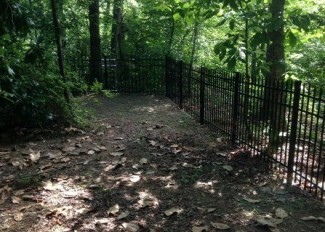 You can view our portfolio page to see the variety of fences that we can build to attain the personalized style that you desire for your home or business. Ensure that your new fence exceeds your expectations every time by choosing Better Decks & Fences for all of your installation needs. Better Decks & Fences guarantees top quality installation and an extraordinary level of customer service every time that you work with us. 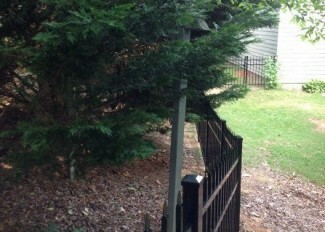 We are pleased to offer you a free initial consultation to discuss your Grayson fence needs. We will be personally responsible for every detail from the first time that you contact us to the completion of the installation job and will never subcontract our work to any other company. We do not work with any middlemen which allows us to keep our costs down while ensuring top quality in all of our work. We are also proud to offer the best warranty in the business which thoroughly covers leaning posts, sagging gates and various other installation issues. 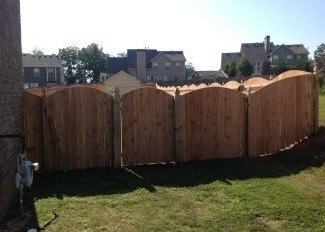 We want you to be completely satisfied with your new fence and our workmanship and warranty guarantees it! We use only the highest quality materials in all of our fence installations including Cedar, California Redwood, Cypress and MCQ Pressure Treated Pine which comes with a lifetime warranty against both termite damage and rot. Every project is different so we will discuss your specific needs during the initial consultation to ensure that we use materials that are perfectly suited to your requirements. 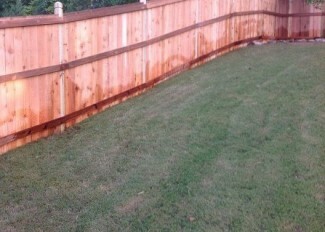 The posts are the foundation of your fence which is why we always build them using MCQ Pressure Treated Pine. This guarantees that your fence will not rot or attract termites as it is the strongest material allowed by the federal government. We place our posts in a high strength concrete mix 5000PSI which can handle all wind loads excluding extreme acts of nature. Unlike many other companies, we use over 60 pounds of concrete per post to ensure a completely solid foundation. Our gate frames are built using Cedar to prevent warping and the wooden gates are constructed from 6×6 posts set in approximately 80 lbs. of 5000spi concrete. The gate frame is protected against warping for up to five years under our warranty. We thrive by consistently building stylish fences at the top quality while maintaining fantastic prices and outstanding customer service. 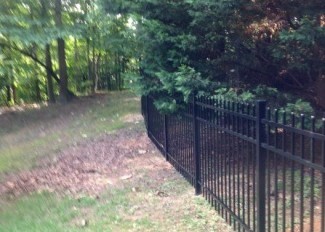 We look forward to talking to you to discuss your unique fence installation needs!